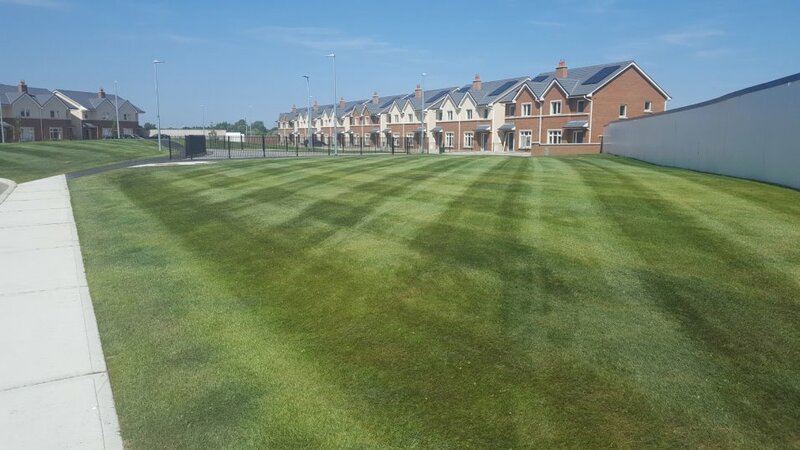 When it comes to Dublin commercial grounds maintenance, what is usually required is a high quality & high standard ground maintenance service at a reasonable price. At Lavin Landscape & Ground Maintenance, this is exactly what we provide to our commercial customers across Dublin. We are a specialist landscape and grounds maintenance business, with extensive experience of managing commercial and residential environments. We offer a complete maintenance service delivered by a very experienced, qualified team. Our commercial ground maintenance team can deliver a complete service including grass cutting, bedding, weed control and more. All services are delivered under our stringent safety, health and environmental policies, using innovative energy efficient processes and equipment. Excellent sporting facilities are a magnet for students and a focal point for any institution. Lavin Landscape & Ground Maintenance can supply a regular grounds maintenance services team who can care for a wide variety of grounds and pitches, preparing the platform for future sporting success. Our experience spans all sectors, from primary and secondary schools through to colleges, academies and universities, maintaining all soft and hard landscaping. We understand the rigours and complexities of the academic timetable and work flexibly week by week to ensure facilities are ready for every occasion. Beautiful grounds are central to the appeal of any hotel which is the reason landscape maintenance services are critical to attract and retain customers. Lavin Landscape & Ground Maintenance creates stunning displays to delight guests all year round. Lavin Landscape & Ground Maintenance can also provide open space maintenance for local authorities and housing associations. We maintain formal gardens and recreation areas, working closely with managing agents and residents. Working in busy and high profile environments requires exceptional levels of care and coordination, allied to rigorous health and safety. We work closely with our clients to provide a green lung in an urban setting and bring the country to the city. We like to go further than most ground maintenance companies, to ensure everyone can appreciate open spaces.